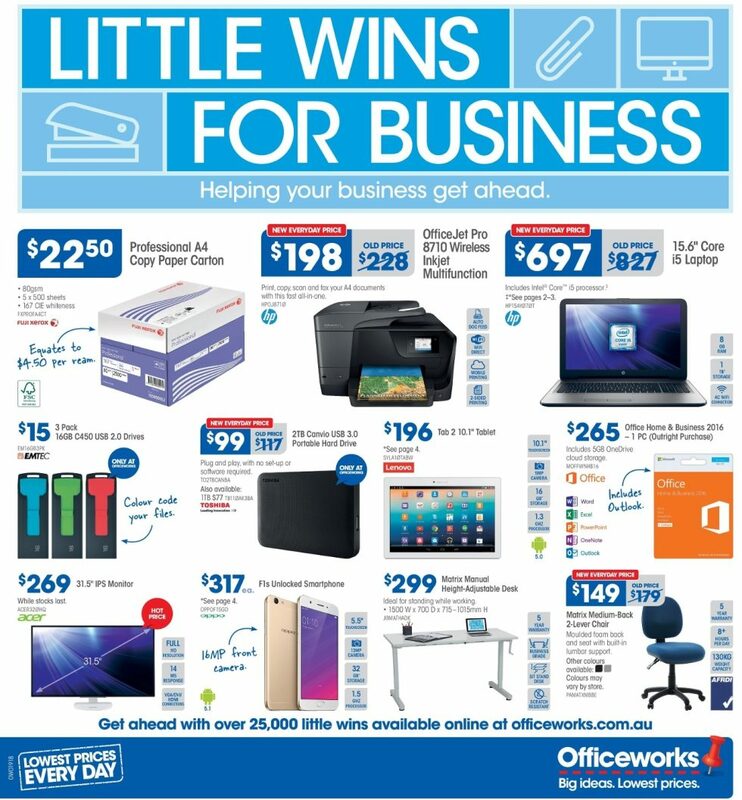 You can get ahead with over 25000 little wins available online at Officeworks. Especially lap tops, printers, office chairs, office desks and cell phones are on sale. Make your office a great place by Officeworks.